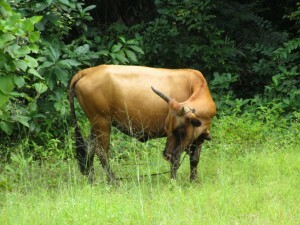 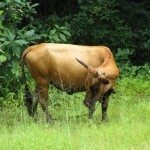 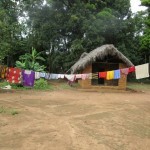 Mayaya Village was founded by the Bullomite Tribe, and was an affluent area. Elaborate, fenced homes were built up for large families. 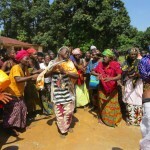 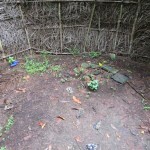 Since then, Mayaya Village has been taken over by the Susu Tribe. 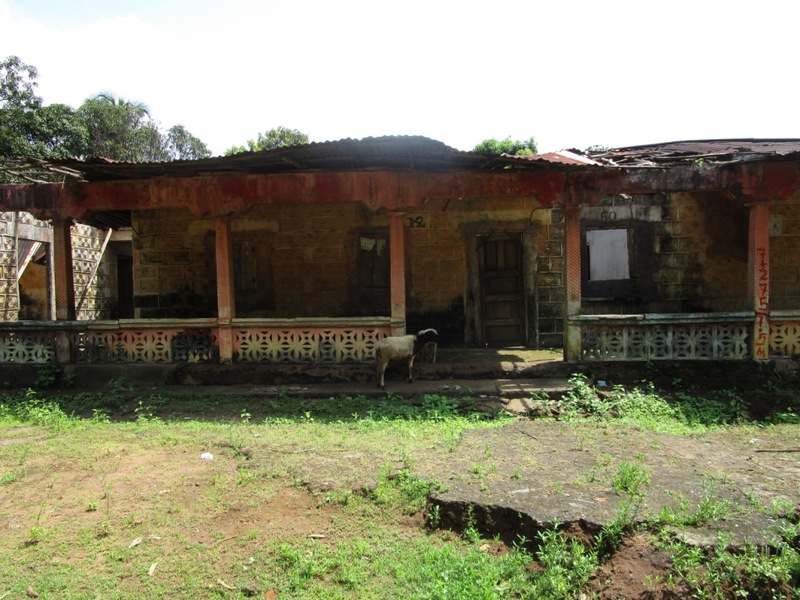 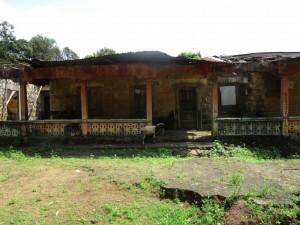 The previously impressive homes are now barely standing, yet are still inhabited by hundred of people. 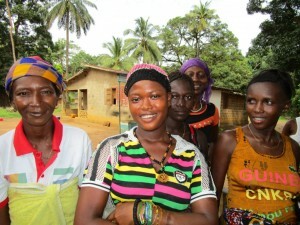 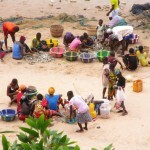 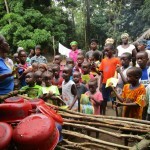 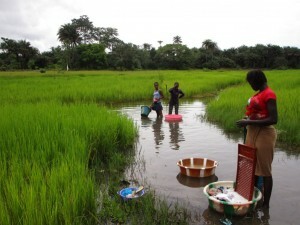 The Susu people living here rely on farming and fishing to earn their daily bread. 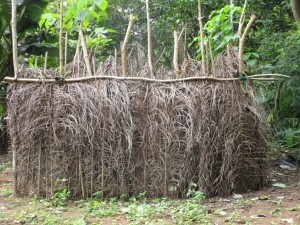 Amidst sprawling land, there’s a swamp that serves the people of Mayaya Village. Lots of activity goes on here. 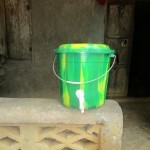 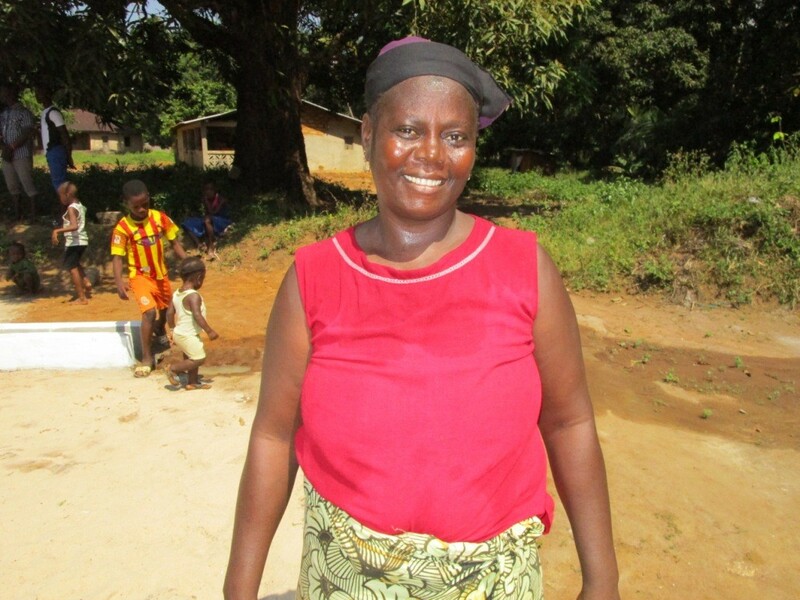 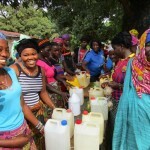 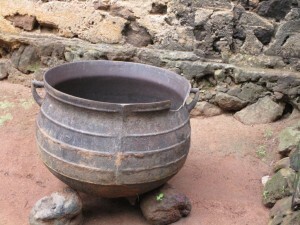 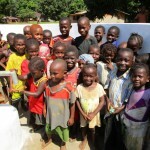 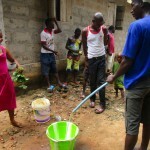 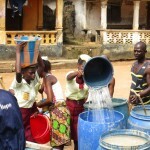 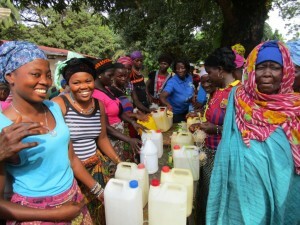 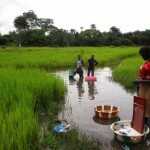 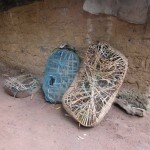 Most people bring jerrycans to fetch water, wading in knee deep and dunking the container. 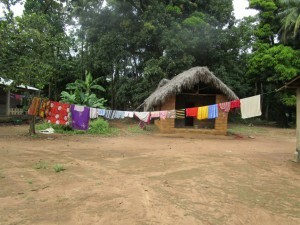 Many others bring their laundry to clean and then bathe after its done. 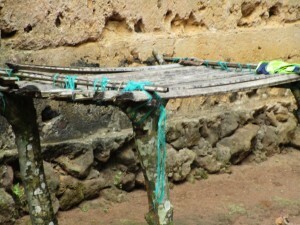 The swamp’s water is contaminated by soap, dirty clothes, and dirty people. 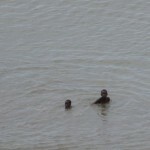 Debris is visibly floating in the water. 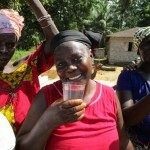 The consequences of drinking this water are devastating, but locals have no other option. 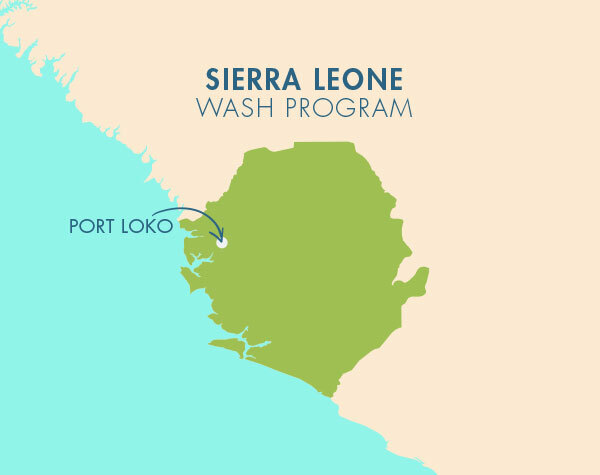 Diarrhea is a daily condition that accompanies rampant waterborne disease. 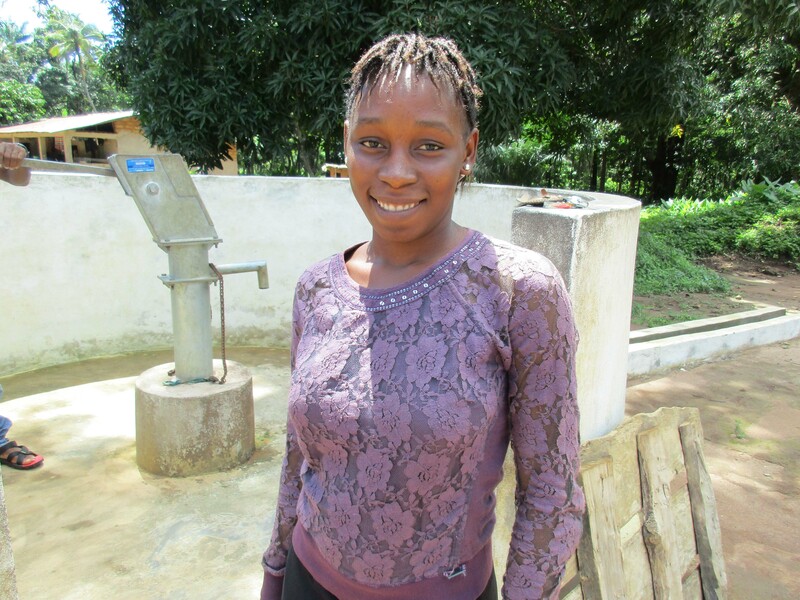 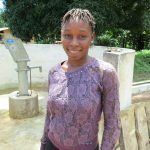 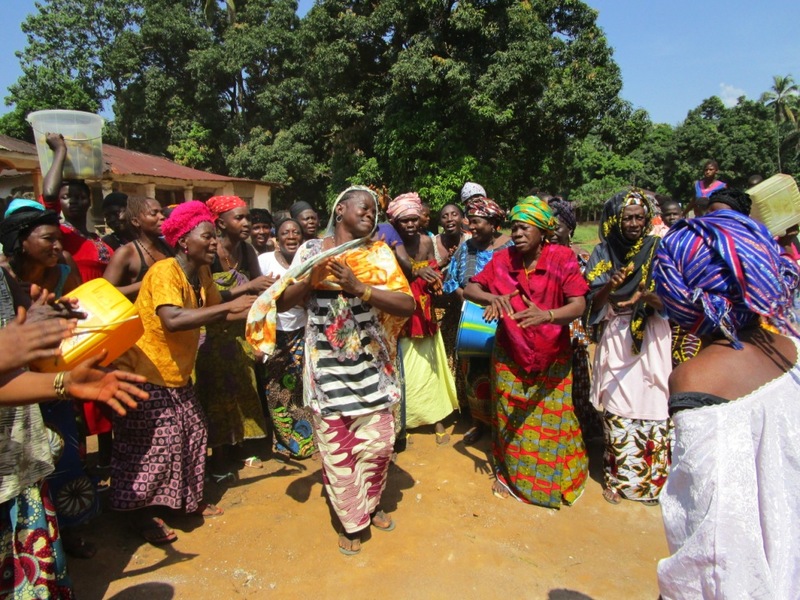 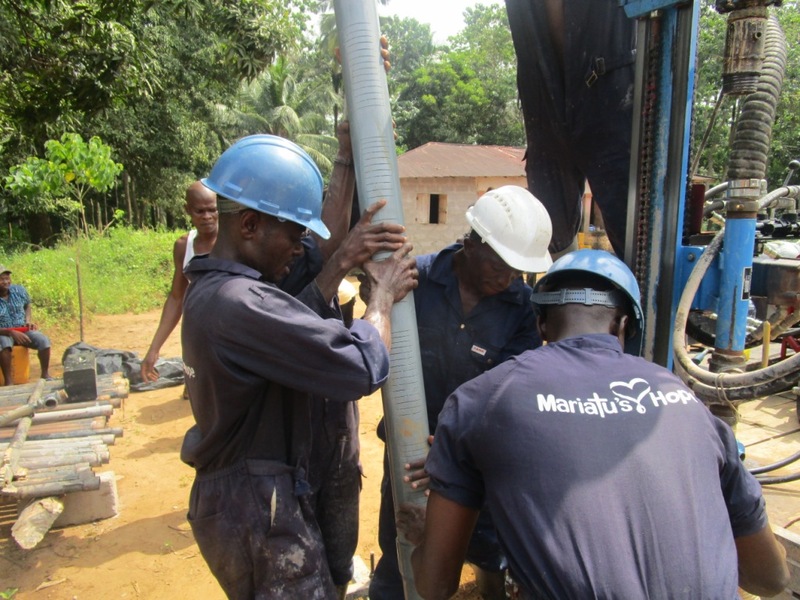 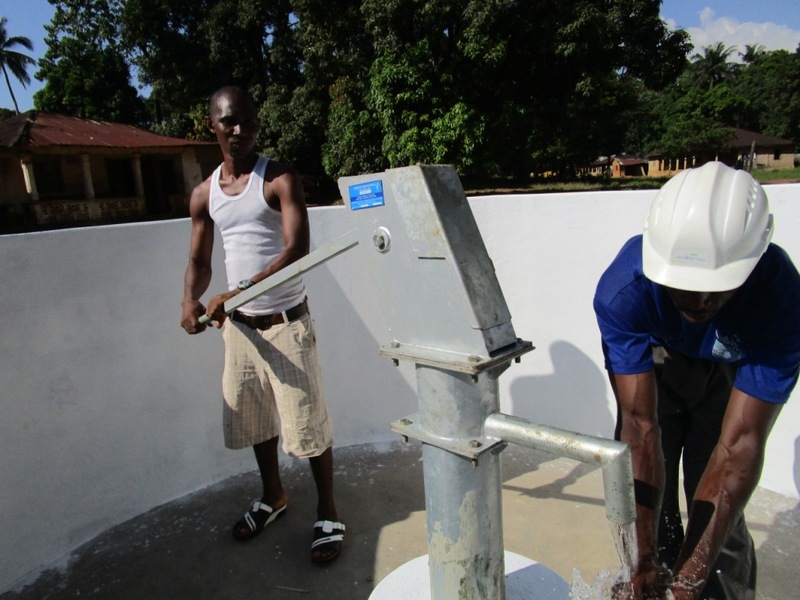 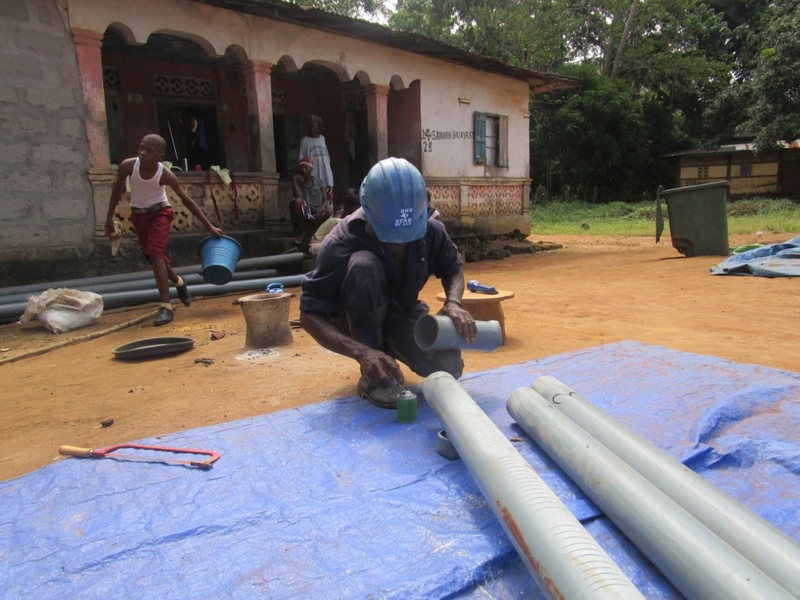 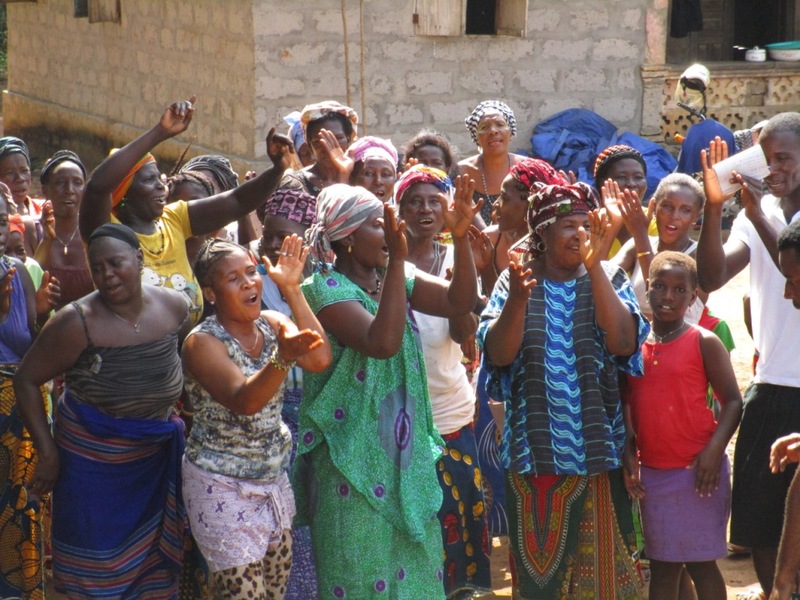 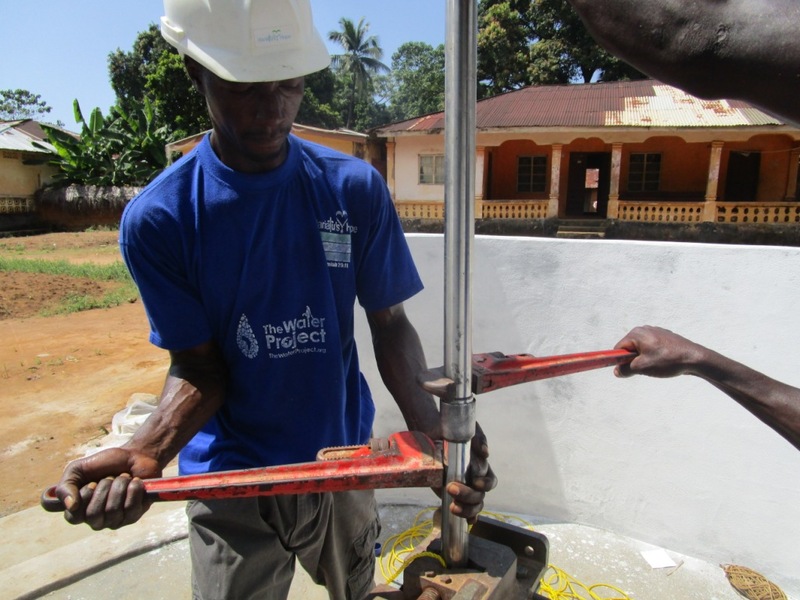 When this project is funded, Mayaya Village will receive a new well that will provide clean, adequate drinking water. 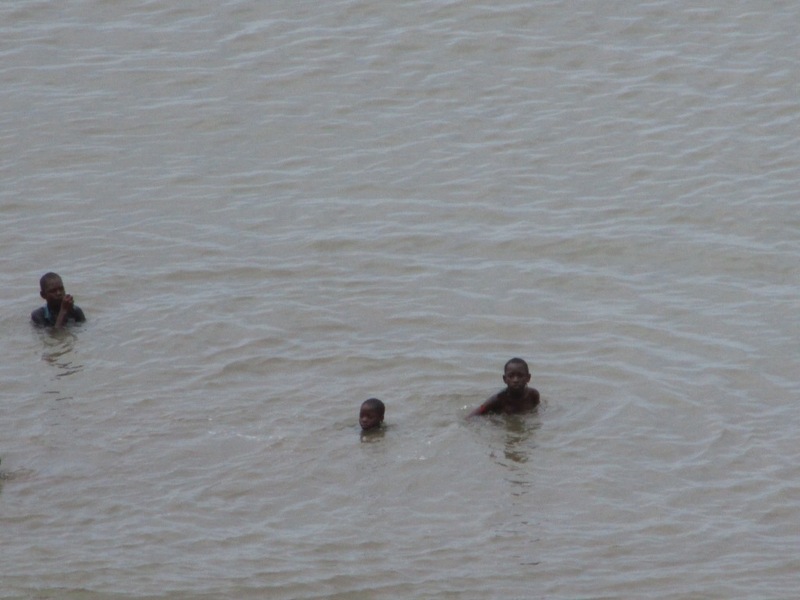 During our visit to the swamp, we observed little boys playing in the water before bringing it back home to their families. 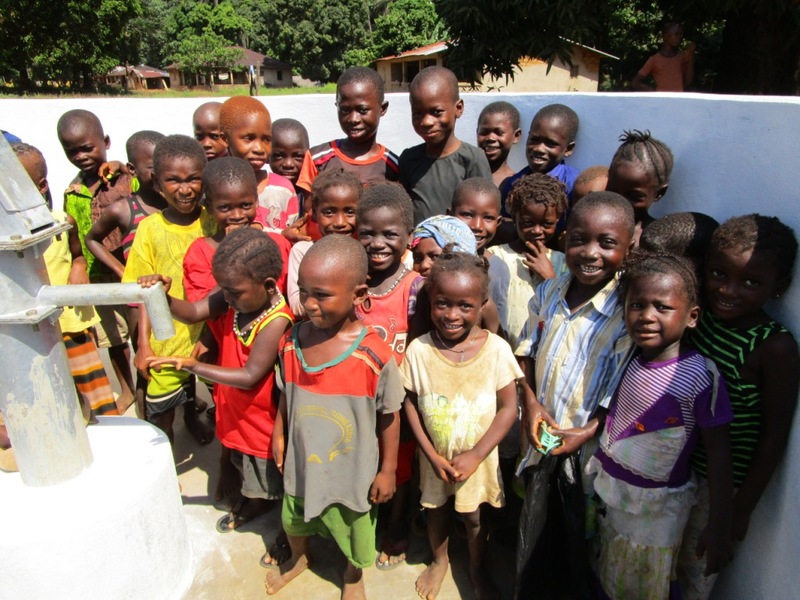 These small children and women are those most responsible for fetching water, but little do they know that their daily habits contribute to drinking water contamination. Not only do locals need a clean water source, but they need to learn how fetching, transporting, and storing water must be done properly to ensure its safety. 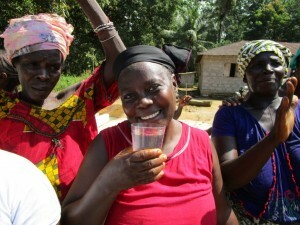 The consequences of drinking this swamp water are devastating. 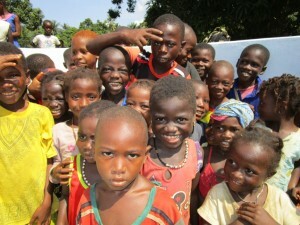 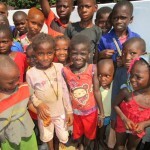 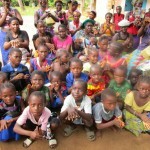 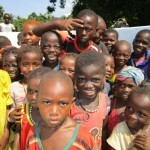 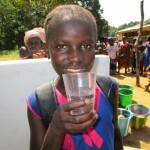 People suffer from diarrhea on a daily basis, and nobody is a stranger to waterborne diseases like cholera and typhoid. 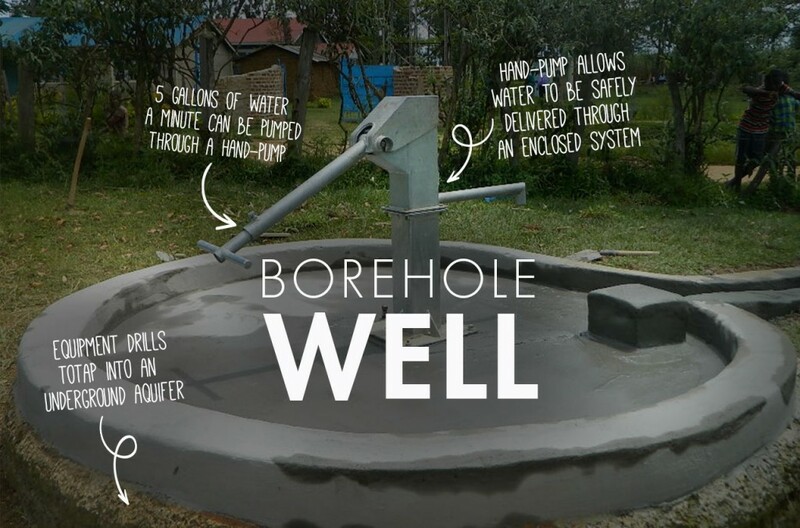 There is also a well that often breaks down and needs repair. 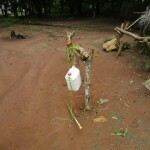 With the recent construction plans for a main road, community leadership has been informed that the well is marked for demolition. 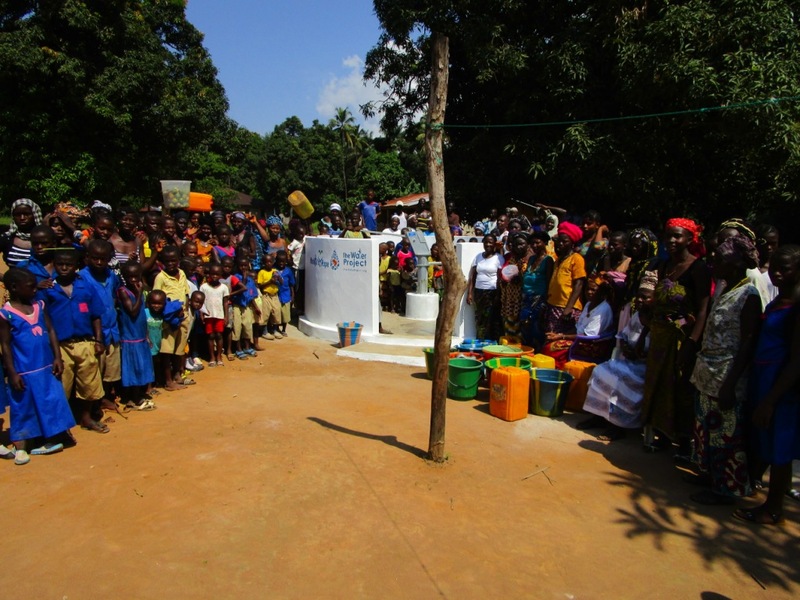 Even if it is not shut down, this well is already too little for a community of over two thousand people, and the long lines have forced women and children to abandon their wait and walk to the swamp. 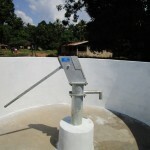 This well cannot efficiently serve this large population. 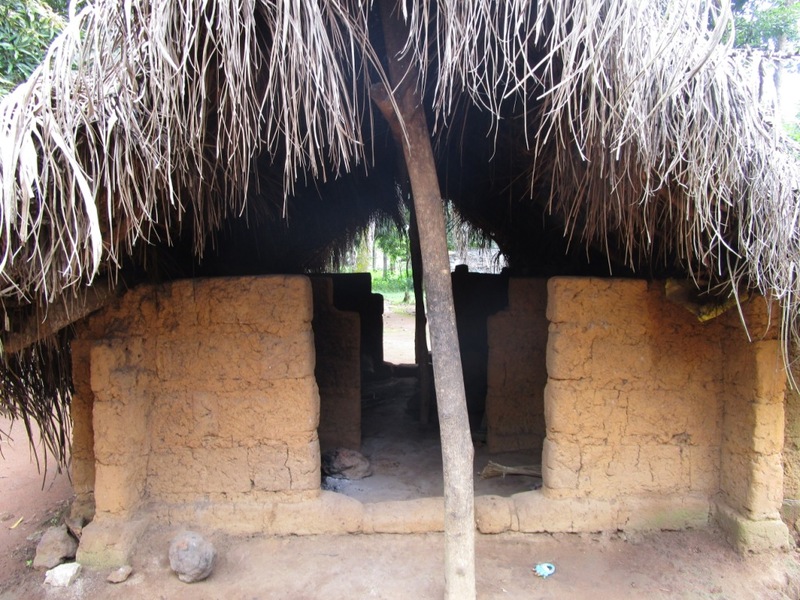 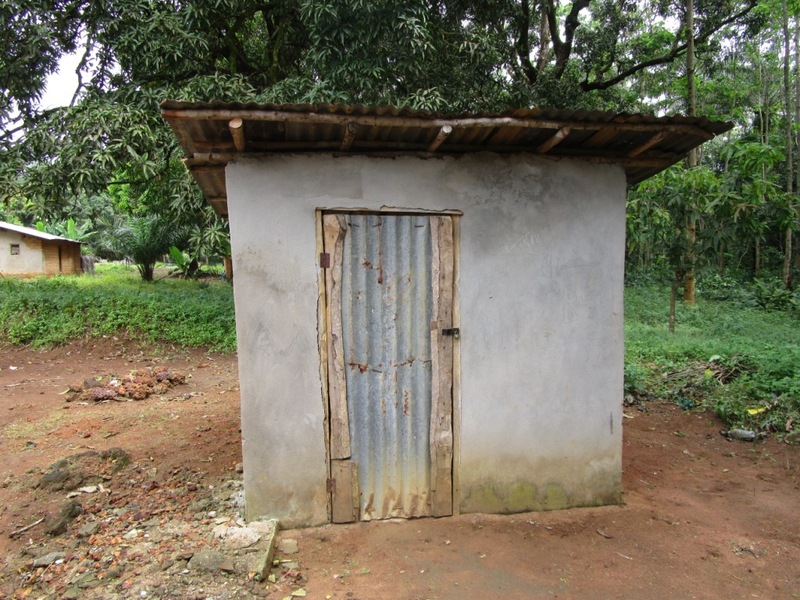 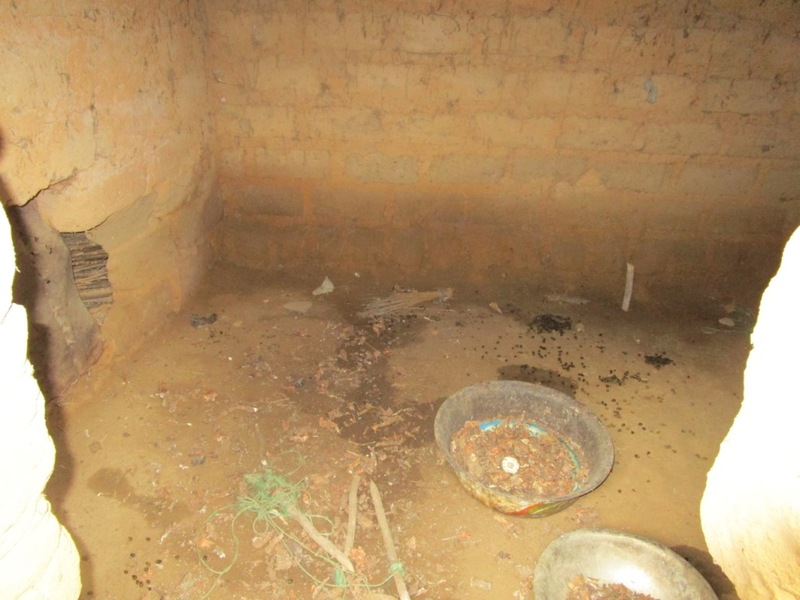 Less than half of households have their own pit latrine. 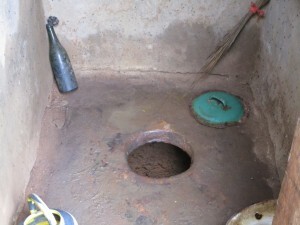 The pit is dug to about ten feet deep with a large slab of concrete with a hole suspended over the top. 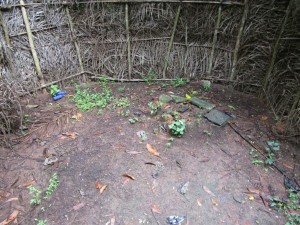 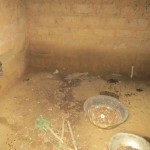 The pits are even lined with plastic, making these some of the better latrines we’ve seen. 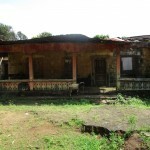 This is because the community was affluent when it was first established. 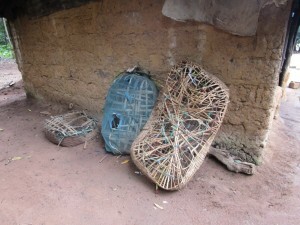 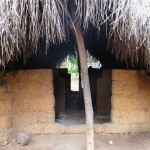 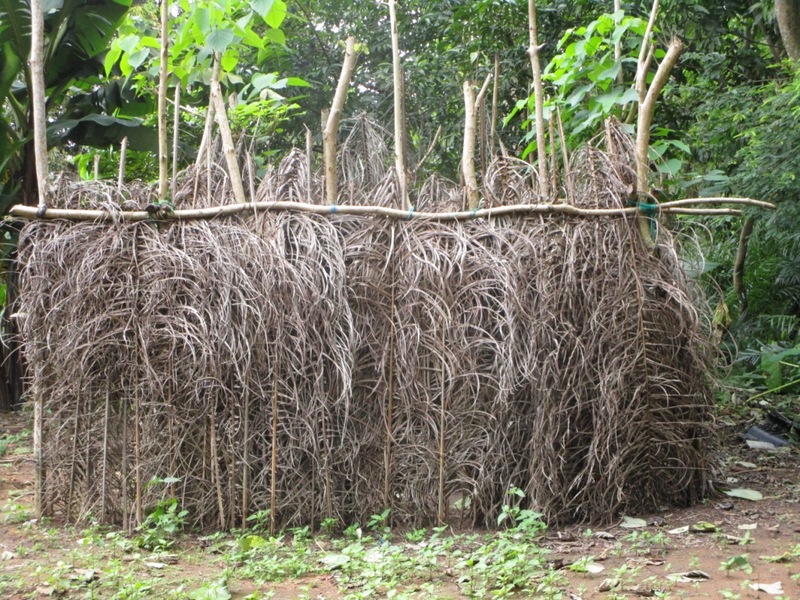 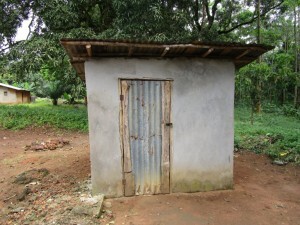 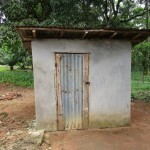 The families that don’t have their own latrine usually share with their neighbor. 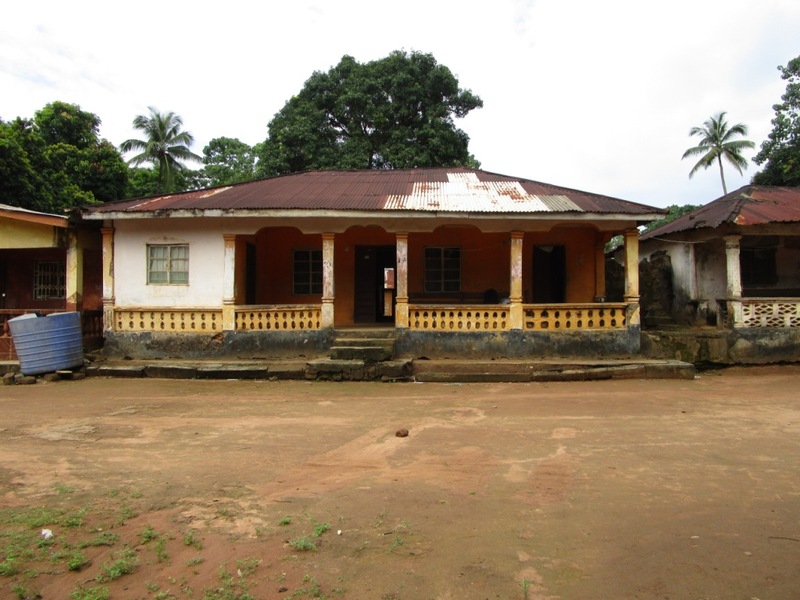 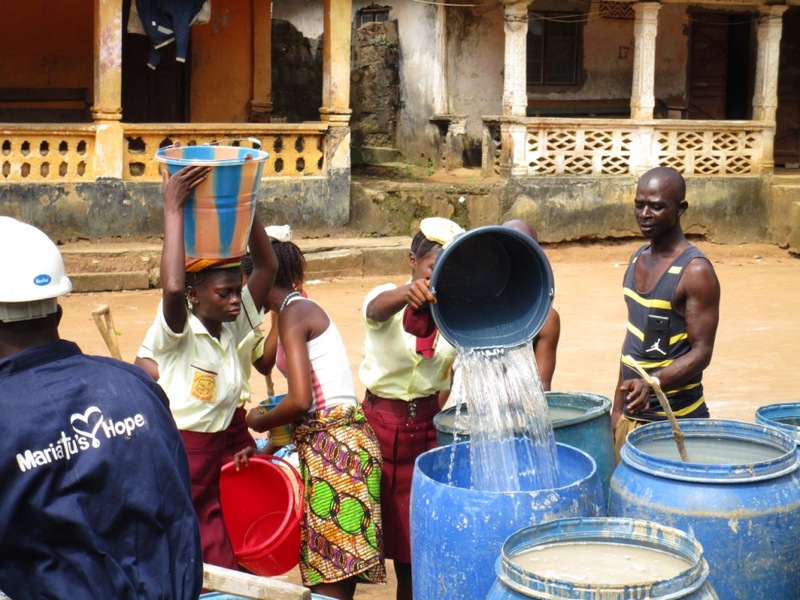 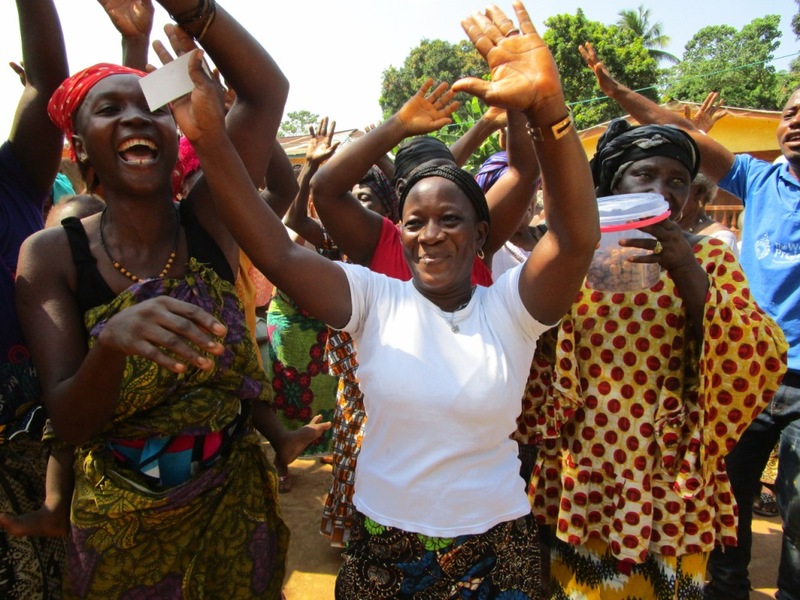 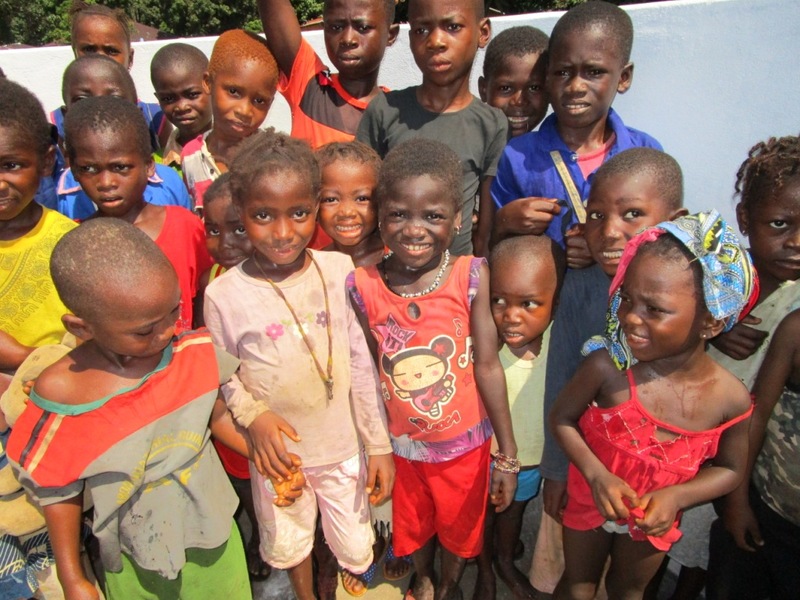 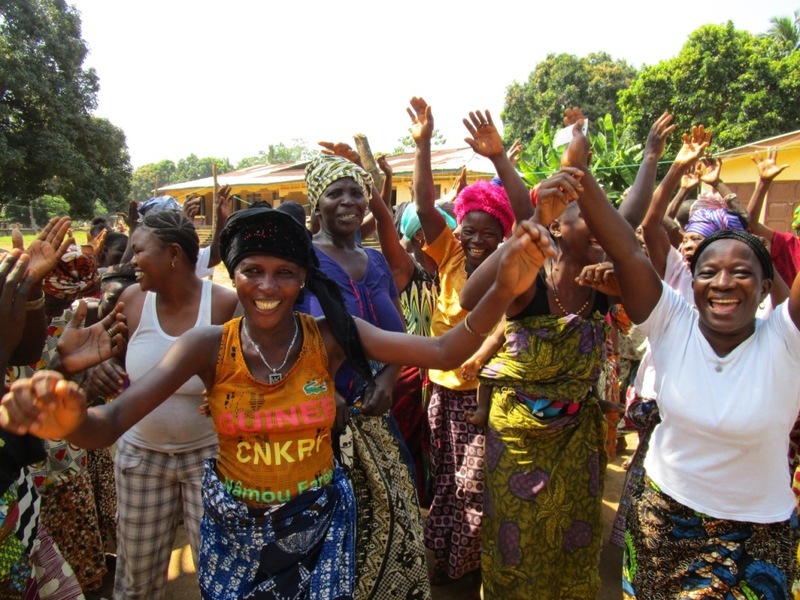 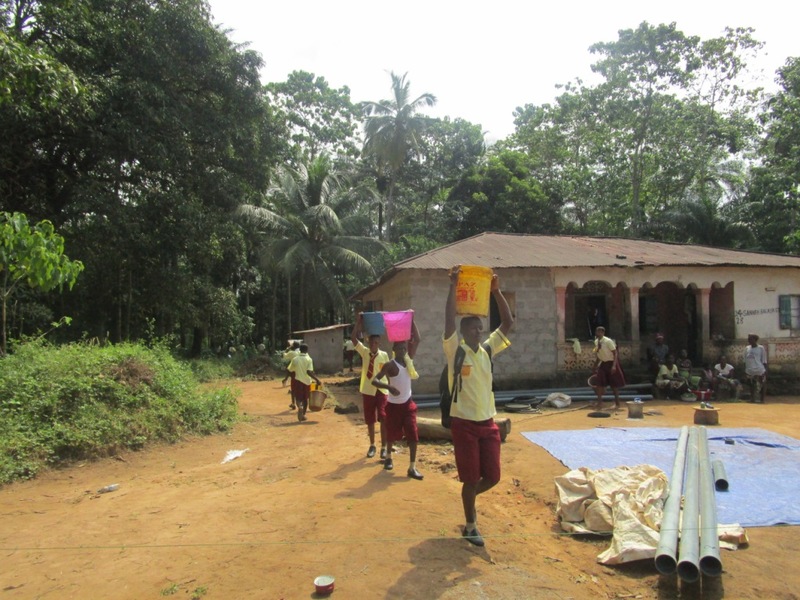 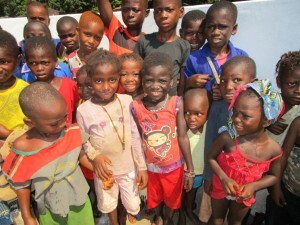 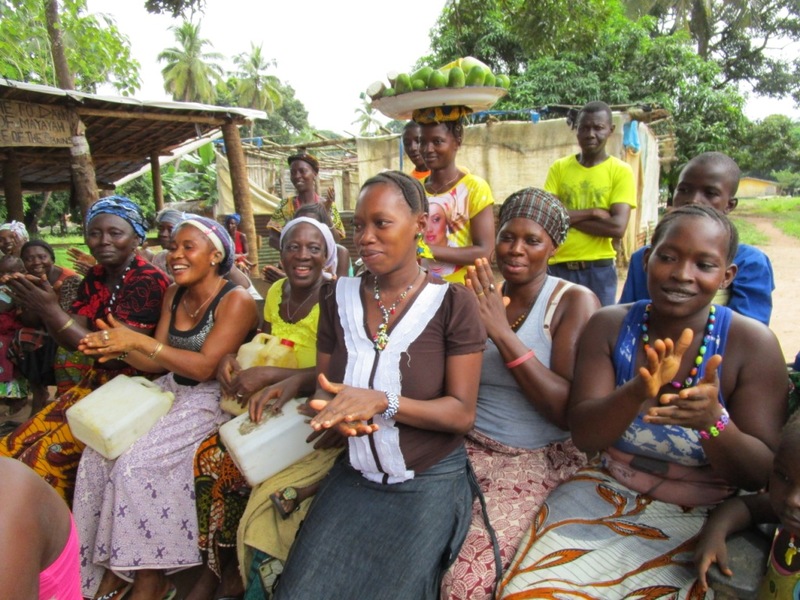 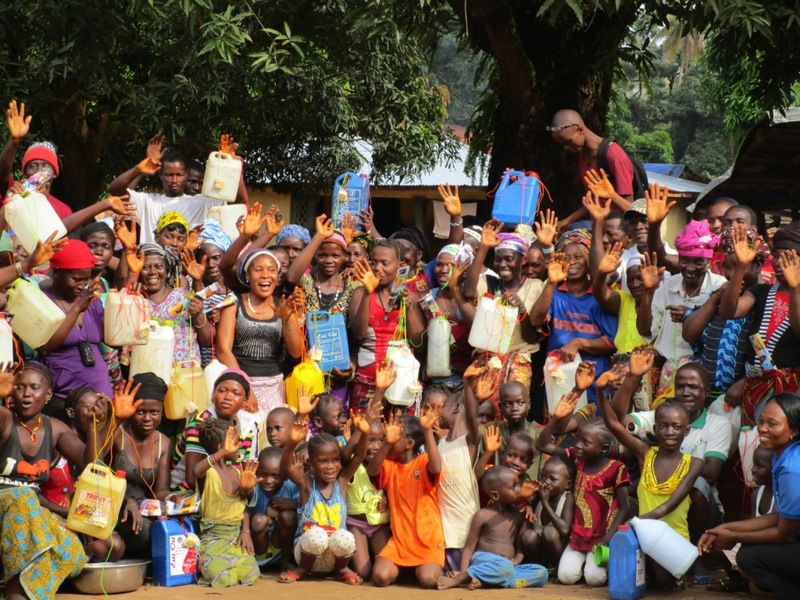 This area was hit hard by Ebola, which changed the mindset of those who survived. 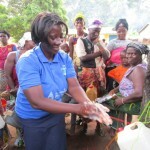 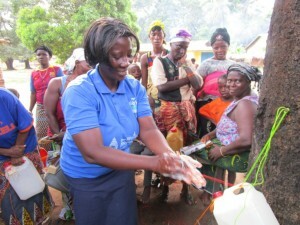 Many of the survivors now understand the importance of washing hands and bathing on a regular basis, so we ran into over a dozen hand-washing stations during our visit. 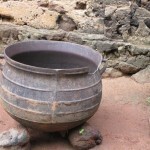 Many of these even had a cleaning agent such as soap or ash. 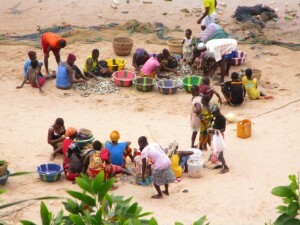 Households dispose of their garbage down at the wharf. 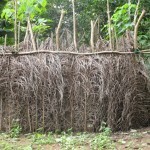 When it piles up too high, it is burnt and later used as fertilizer in gardens. The proposed location for this borehole is in an open field where it is least likely to be contaminated. 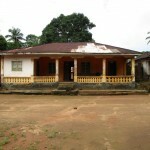 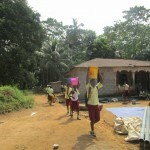 There is an old school building on this field, but the school has since moved to another area of the village. 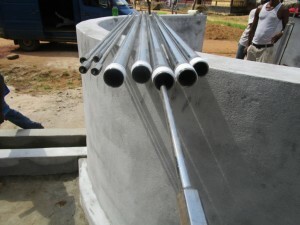 This new well will be in a location opposite to the side that already has a well, providing equal water access for all community members that previously needed it. 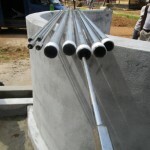 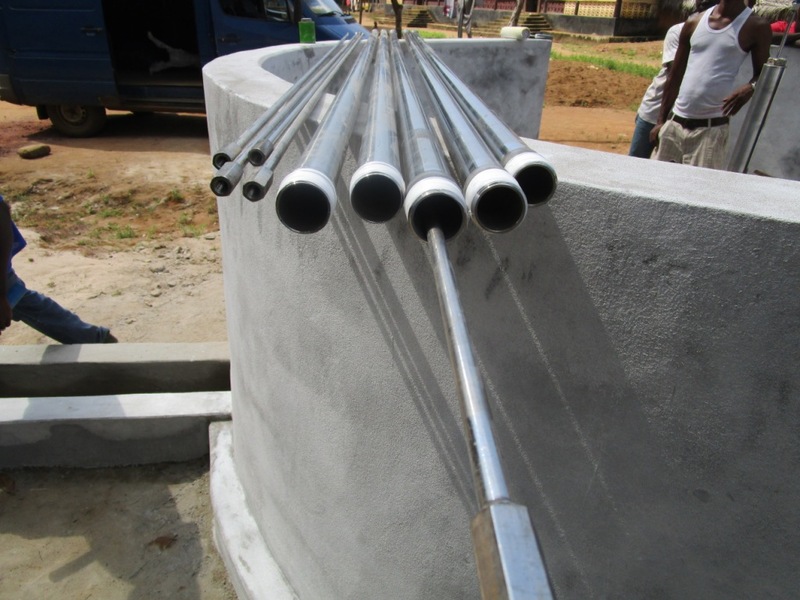 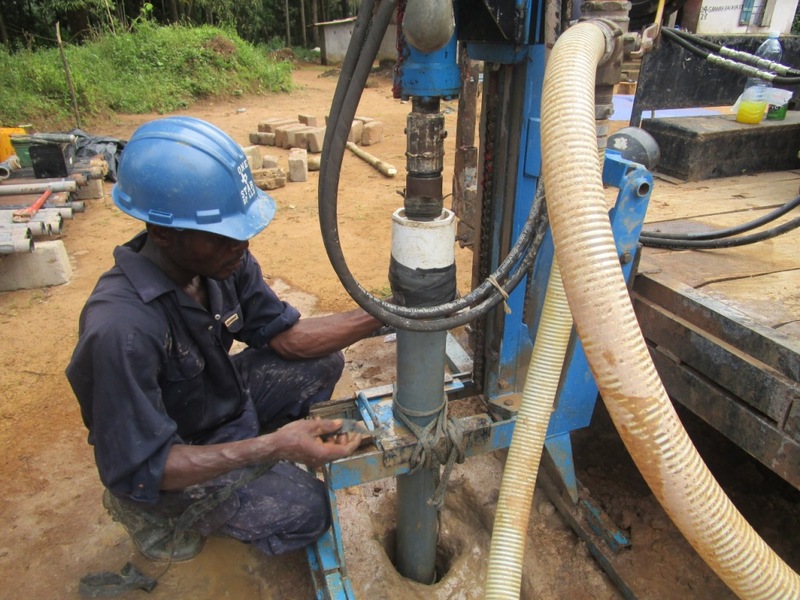 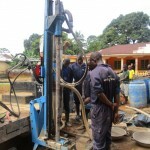 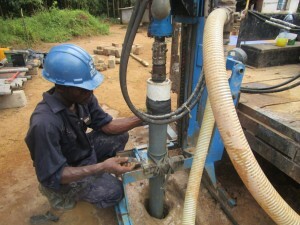 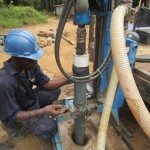 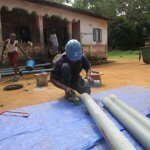 The borehole will be drilled with an LS200 hydraulic rig, and the well will be installed with an India Mark II pump. 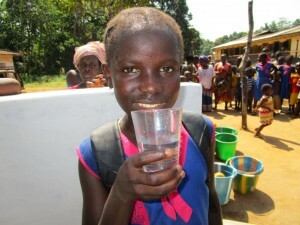 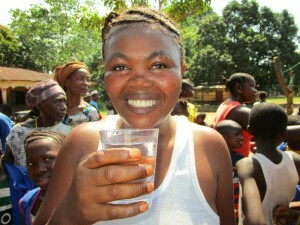 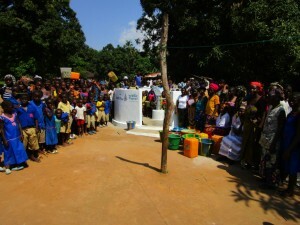 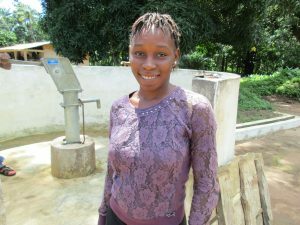 We are excited to share that there is a new well in Mayaya Village, and it’s now providing clean water! 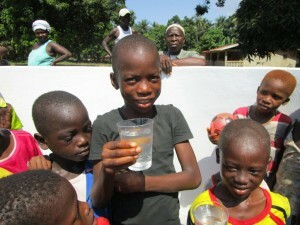 Hundreds of people here no longer have to rely on dirty water from the swamp. 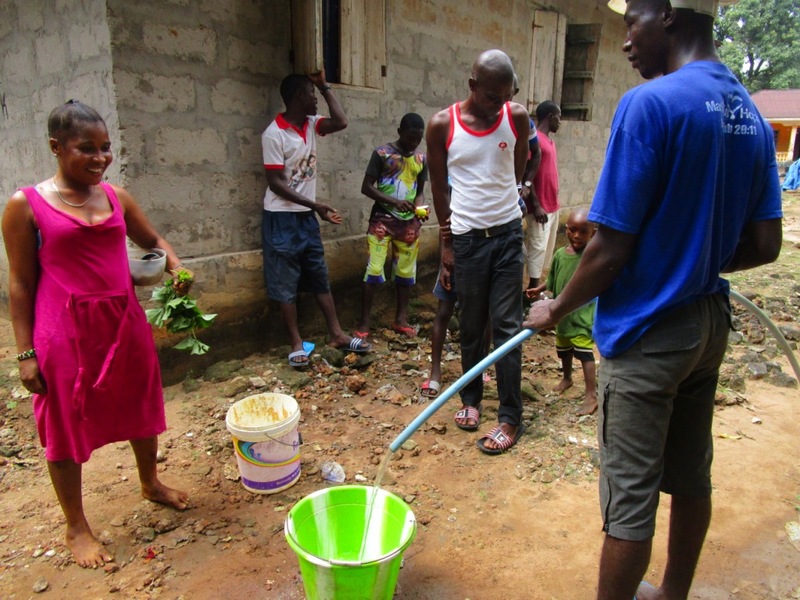 Hygiene and sanitation training was also conducted, which focused on healthy practices such as washing hands and using latrines. 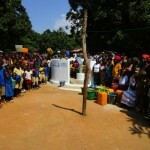 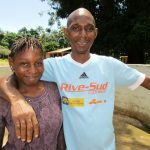 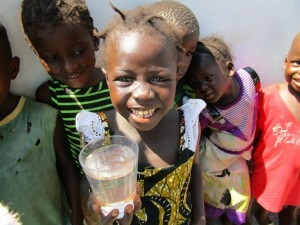 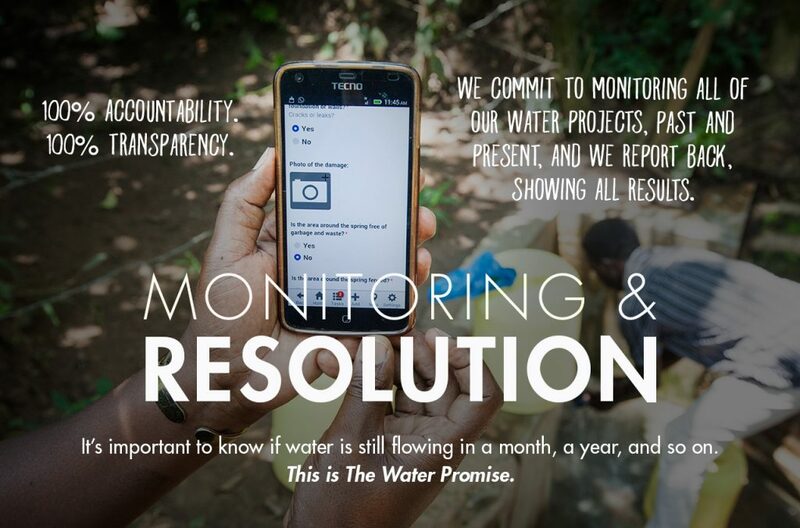 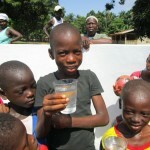 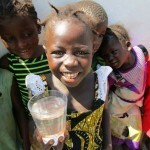 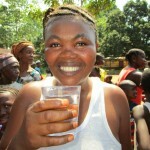 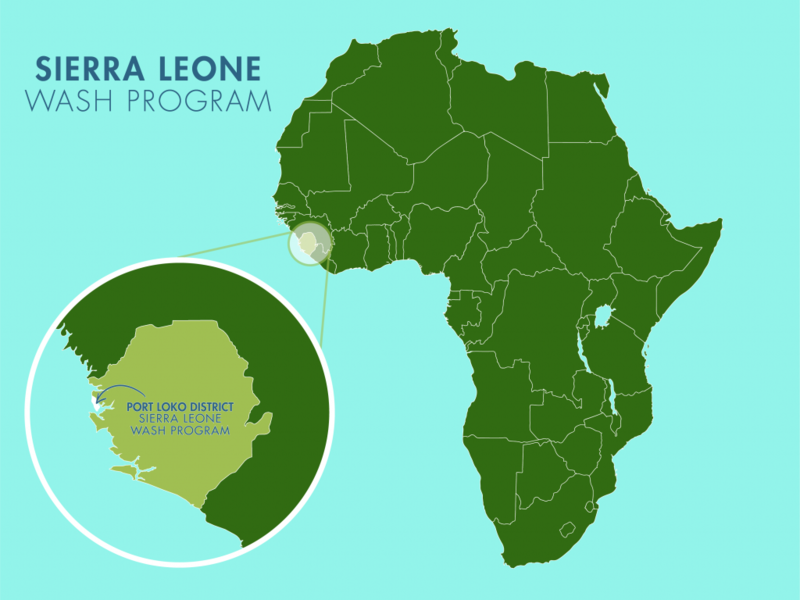 This water and new knowledge give the community a great foothold in eliminating water and sanitation-related illness. 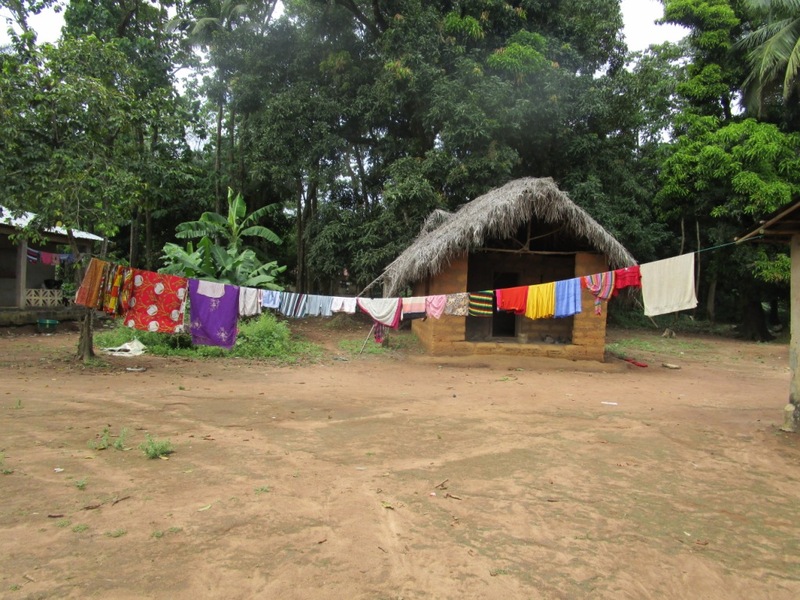 Please enjoy this update detailing all the work that was done Mayaya Village and make sure to click on the “See Photos & Video” tab above to find new pictures of the finished project. 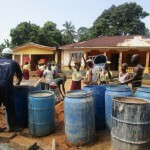 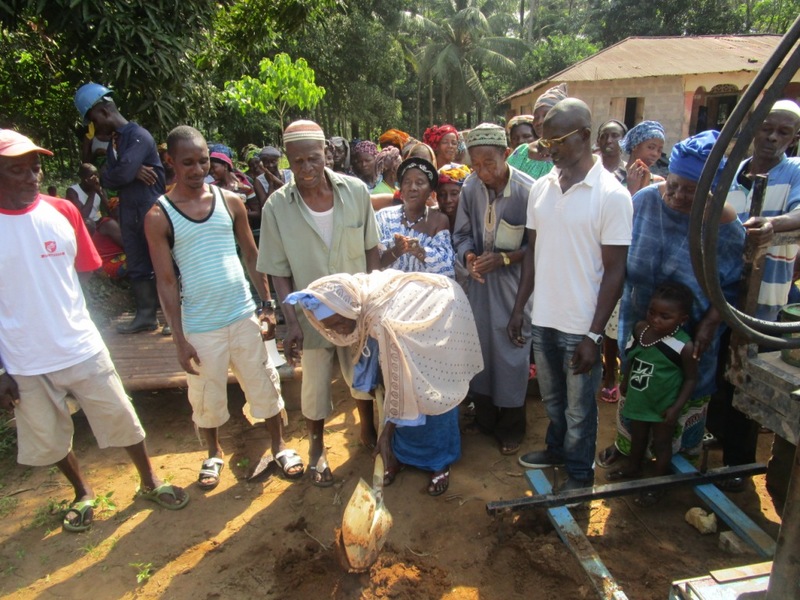 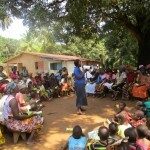 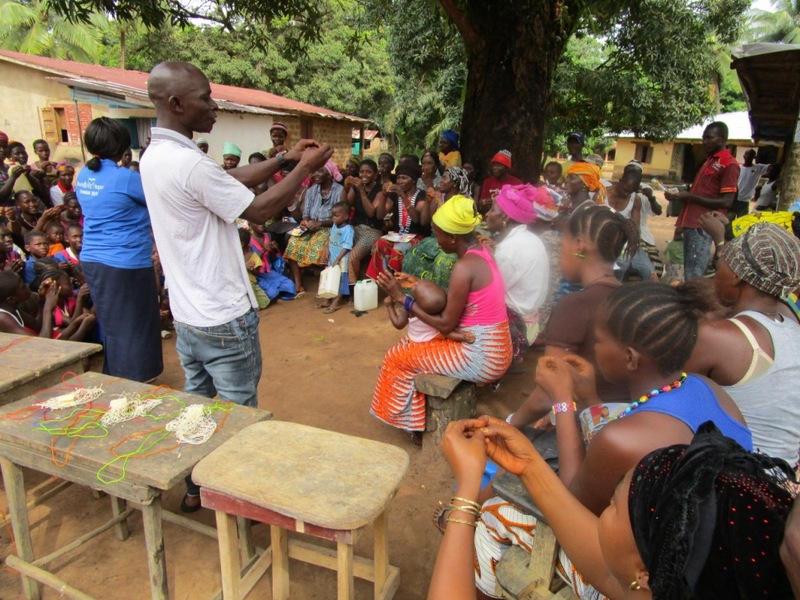 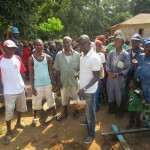 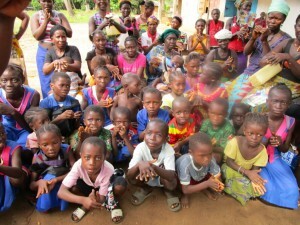 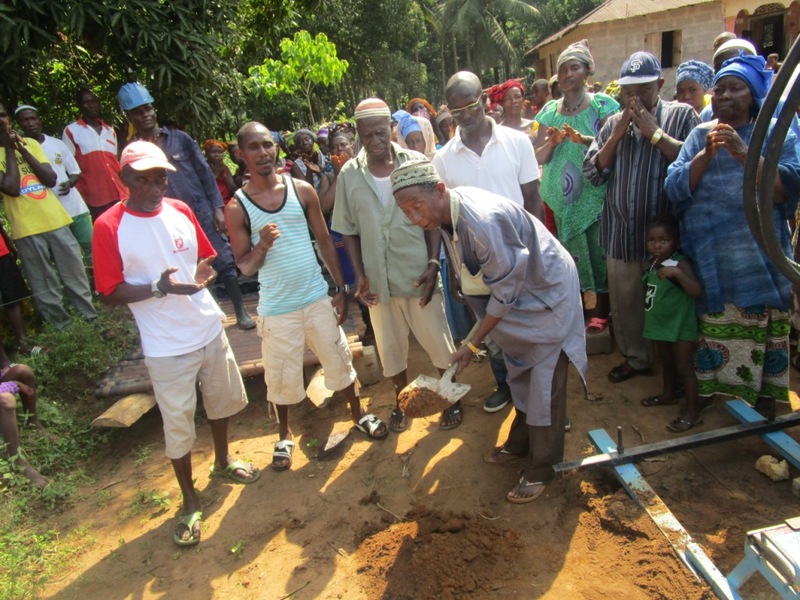 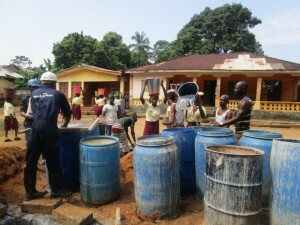 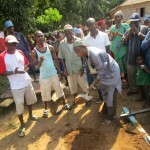 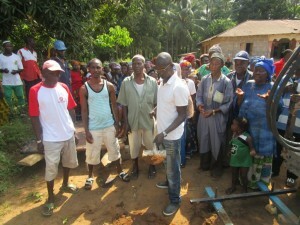 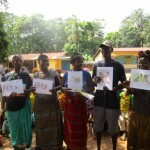 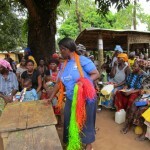 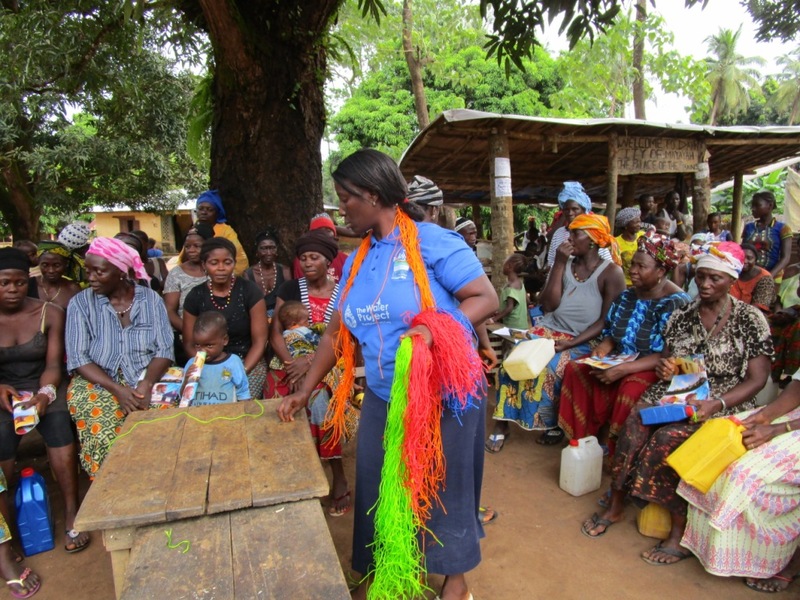 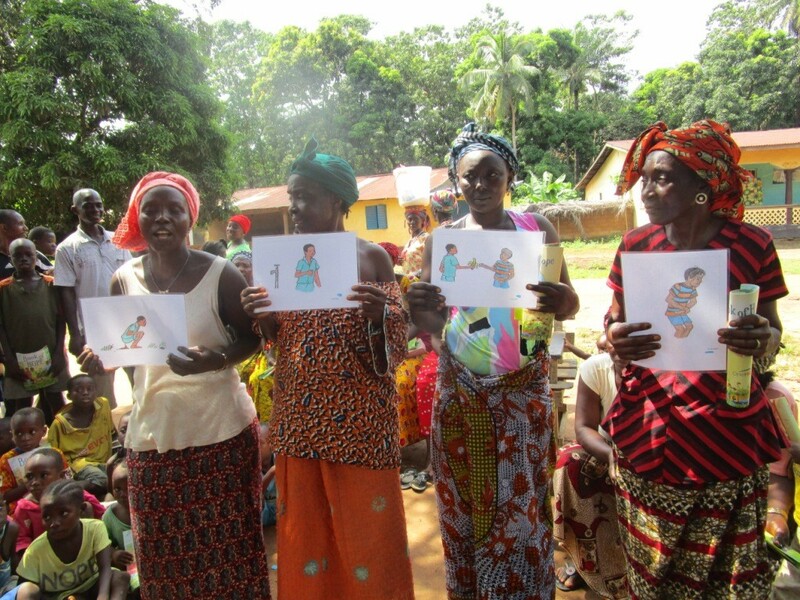 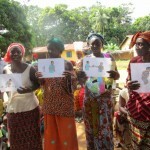 Hygiene and sanitation training was held near the construction site under the shade of a mango tree. 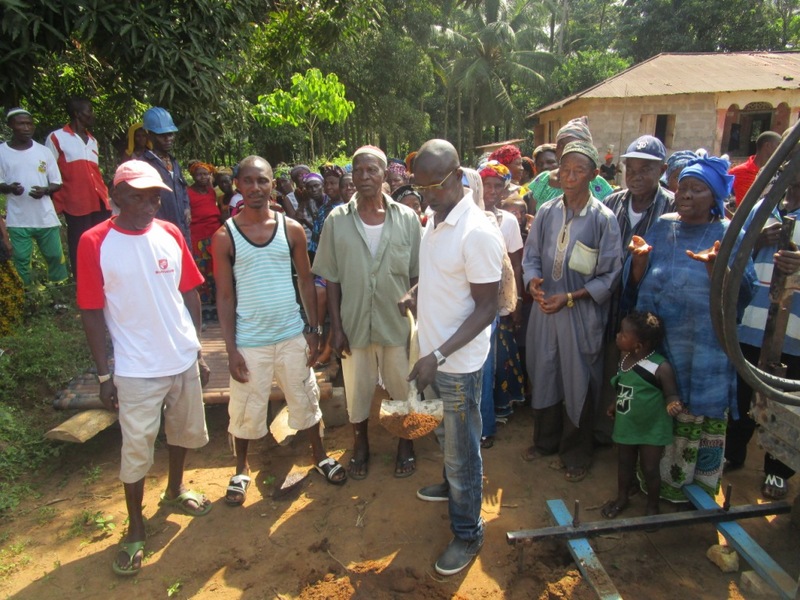 There was already a committee of nine people who oversee special events in the community, so we relied on them to get the word out about the training sessions. 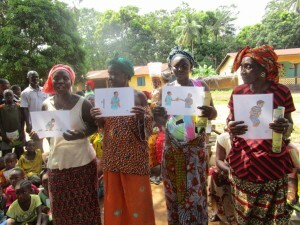 They found participants eager to learn about different, better ways to take care of their communities, homes, and selves. 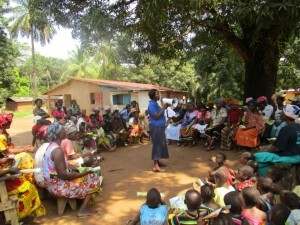 Attendance was lower than we had hoped, with 11% of the community represented. 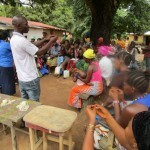 What was missing in numbers was made up for in participation and excitement. 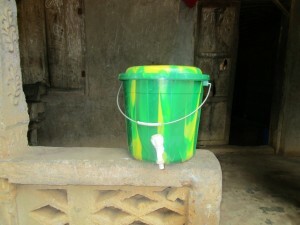 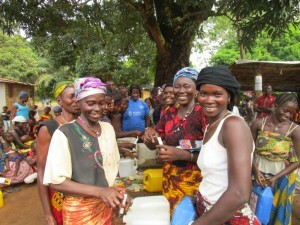 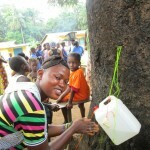 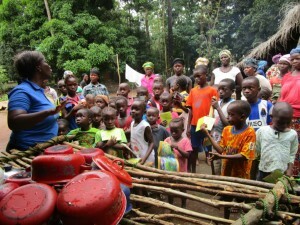 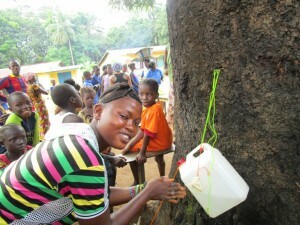 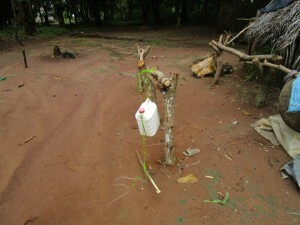 The first day, locals brought their own plastic containers so we could teach them how to make hand-washing stations. We used these to practice hand-washing in groups, and then moved on to talking about the importance of having and using a latrine. Attendance greatly improved on the second day, when we taught about the differences between a healthy and unhealthy community. 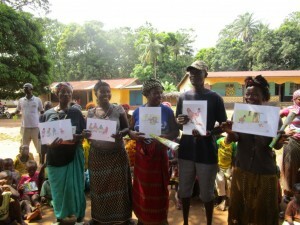 To do this, we used presentations, illustrations, and group discussions. Community members were able to talk together about what they saw in the pictures and how those activities might affect their health. 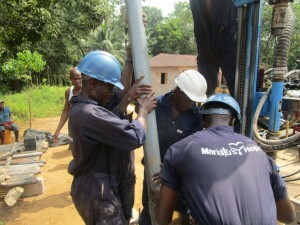 We ended training with a session on care and maintenance of the well pump. 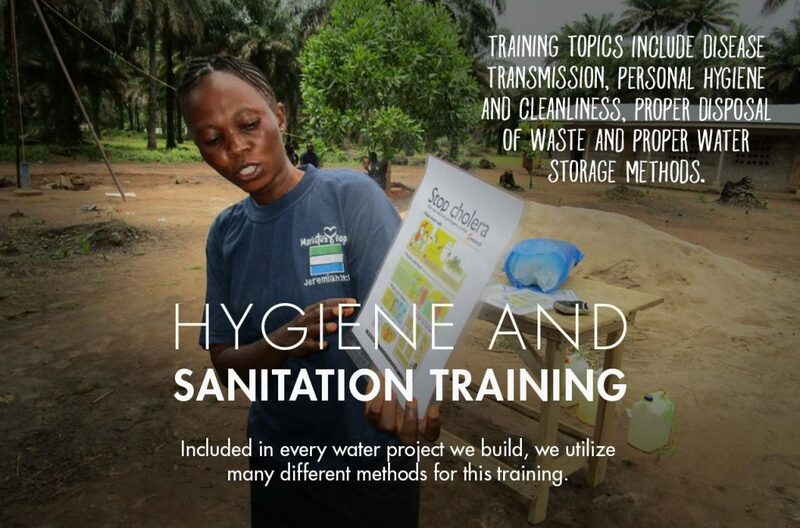 Even though attendance was less than we thought, we still think training was a big success. 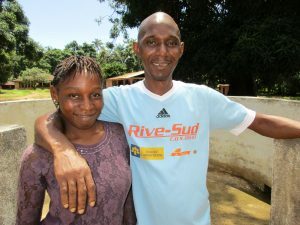 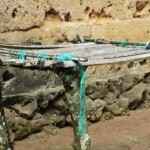 After our training, every household had built a new hand-washing station, dish rack, and a latrine. This was before the well was even finished! 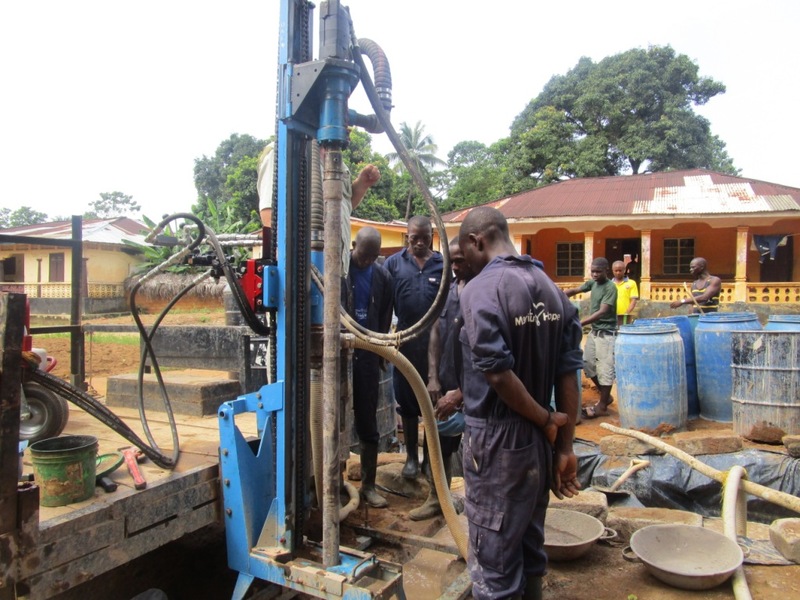 Drilling for this borehole began on November 21, 2016. 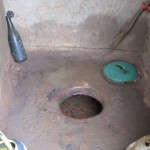 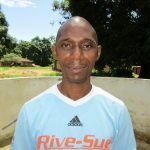 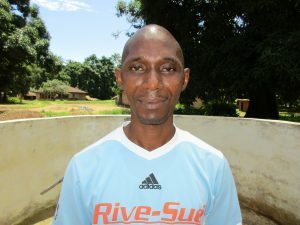 The well site was agreed upon by the entire team, because it is far away from any contamination: latrines and grave sites were hundreds of feet away. Two identical holes were dug a few feet away from the base of the drill rig to serve as supply and waste pits. 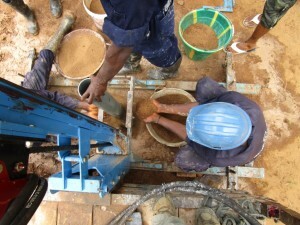 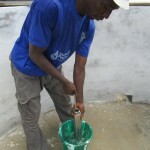 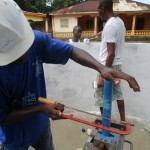 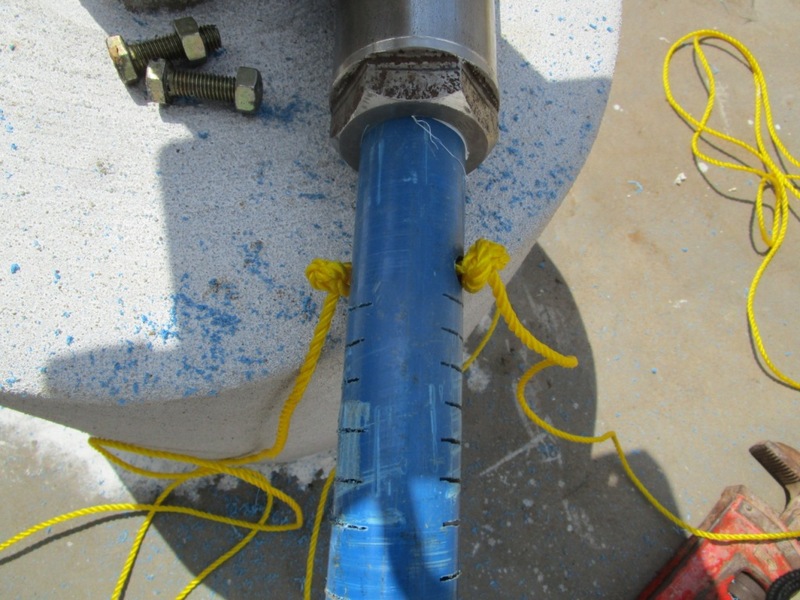 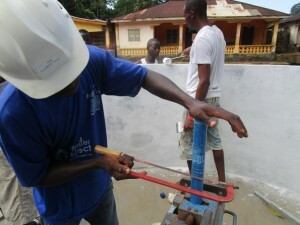 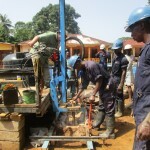 After ever five feet of drilling, a fresh load of water mixed with bentanite is poured to keep the hole from collapsing. 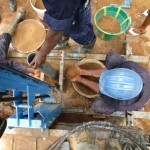 When they reached 61 feet, the drill team decided it would be adequate. 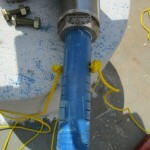 When the pipes were placed, a cement mixture was poured on the outside of the hole to fasten them in place. Two days later, the water was bailed until the desired color and taste were attained. 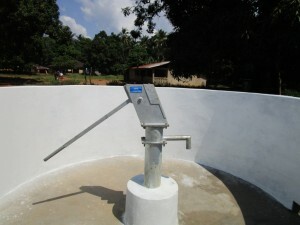 The screen and fill was packed to ensure the water stays clean. 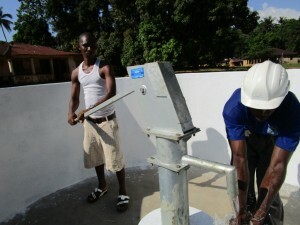 The well was shock chlorinated on the day of pump installation to make sure any bacteria would be long dead before the water is used for human consumption. 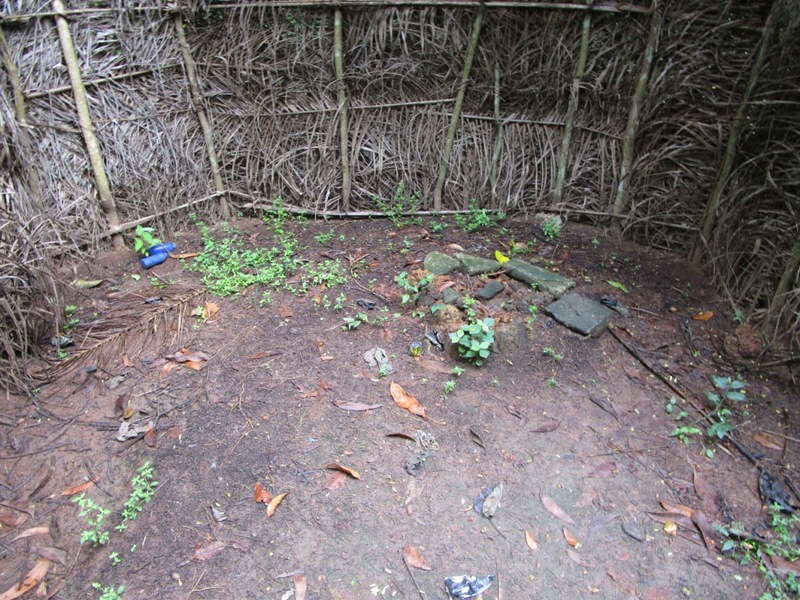 Local men provided helpful labor and security, along with sand and stones for actual construction. Young ladies also helped by fetching water need for the drill rig. 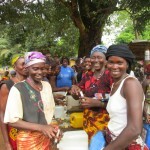 The older women cooked three times a day for everyone else who was working. 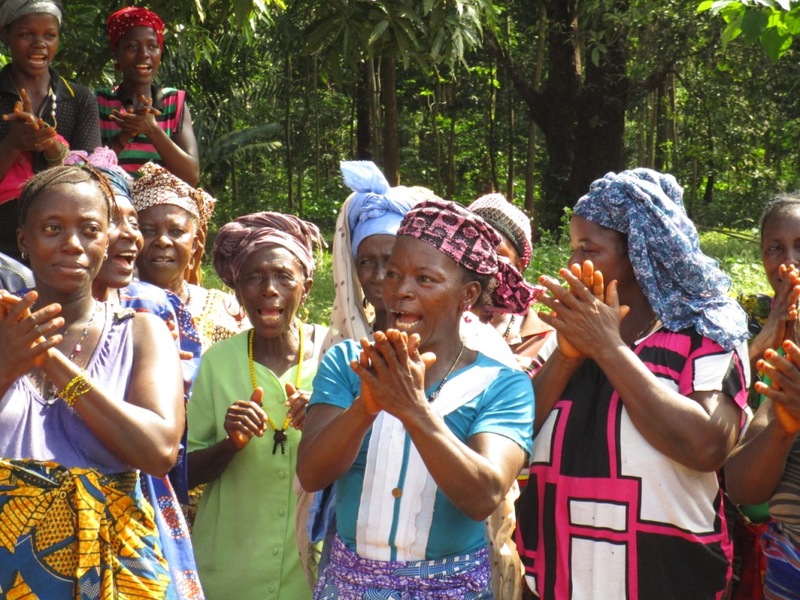 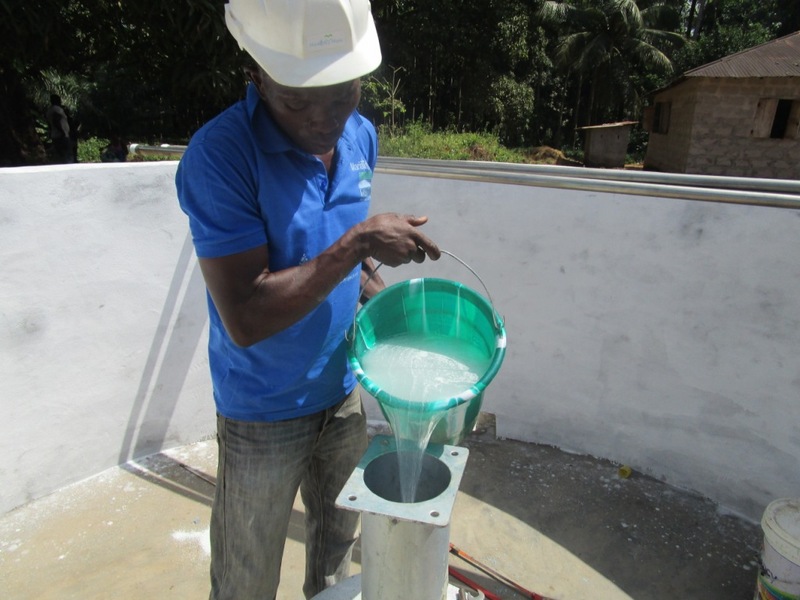 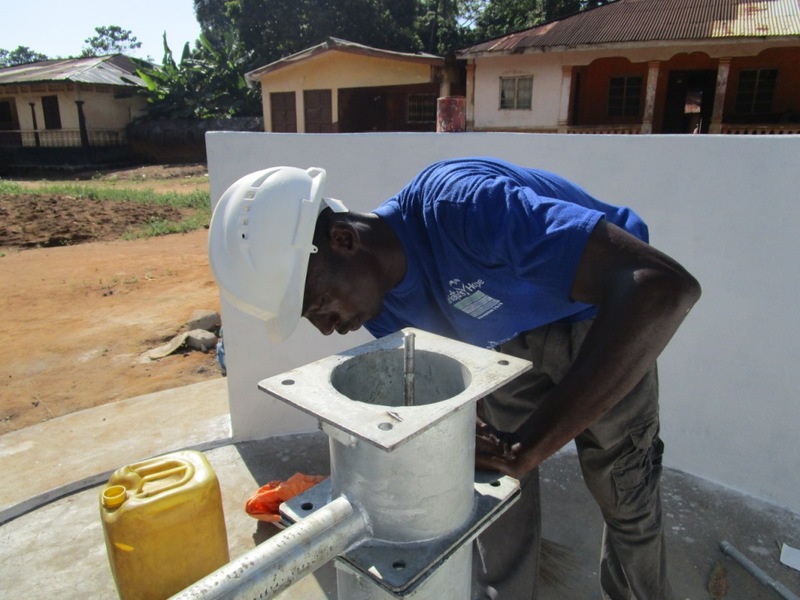 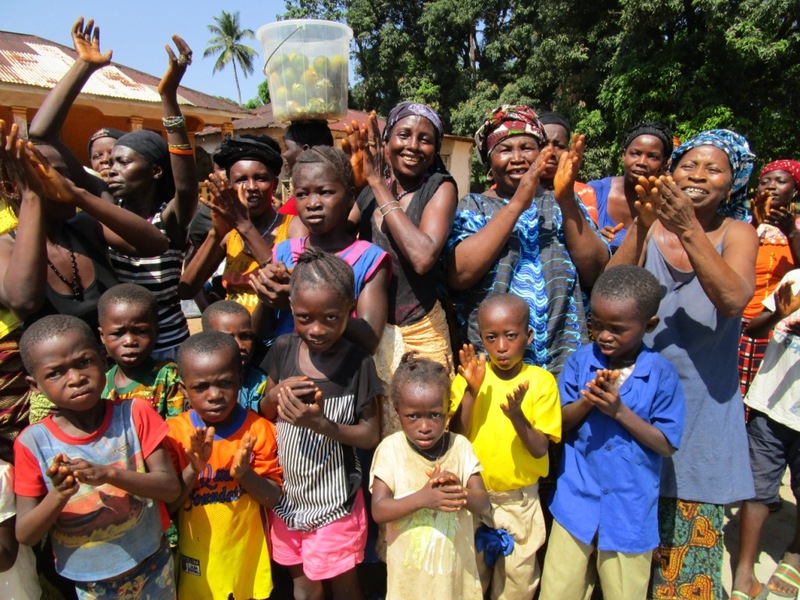 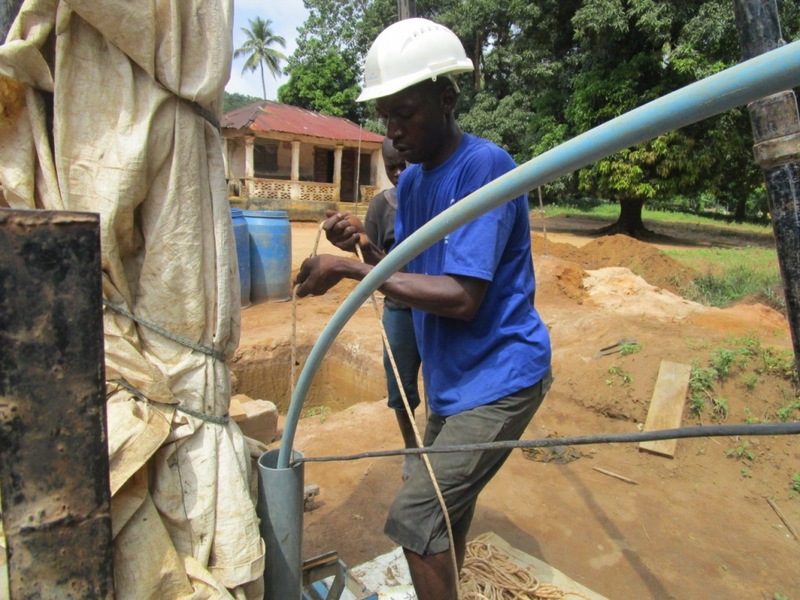 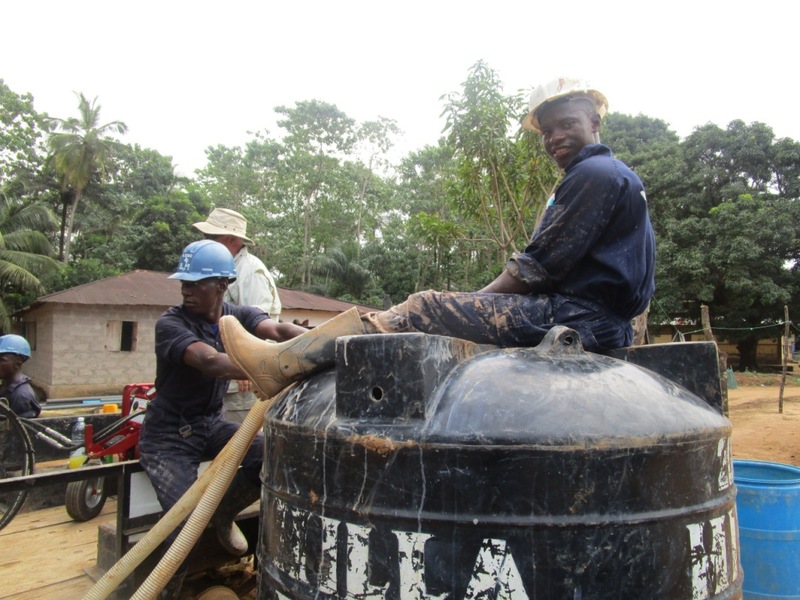 We are excited to announce that, thanks to your willingness to help, Mayaya Village in Sierra Leone will soon have a new source of safe, clean water. 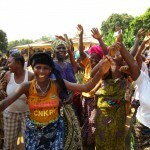 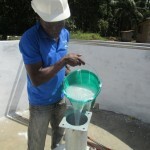 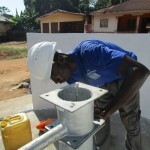 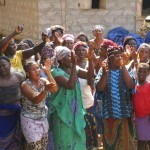 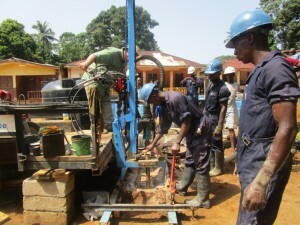 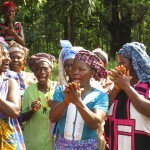 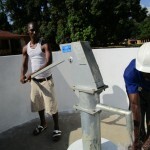 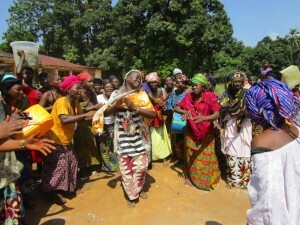 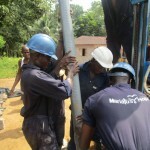 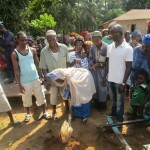 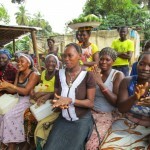 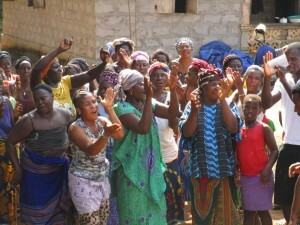 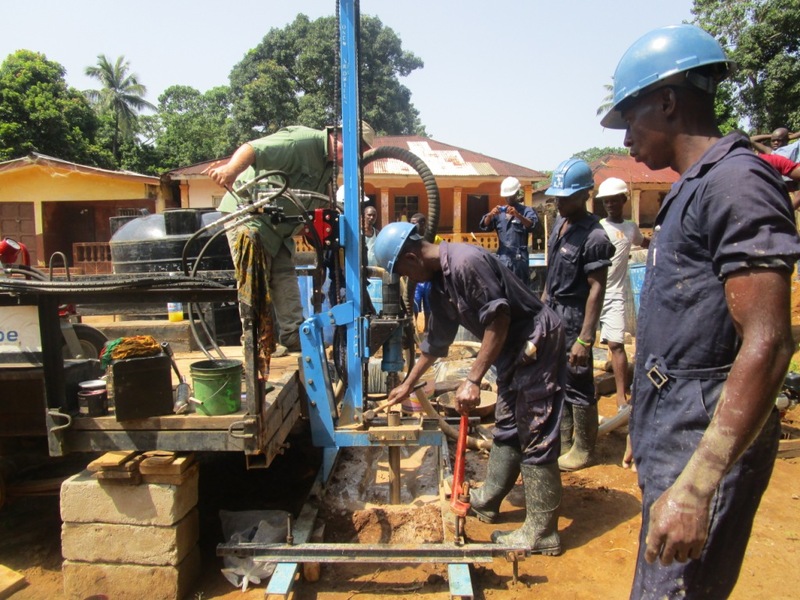 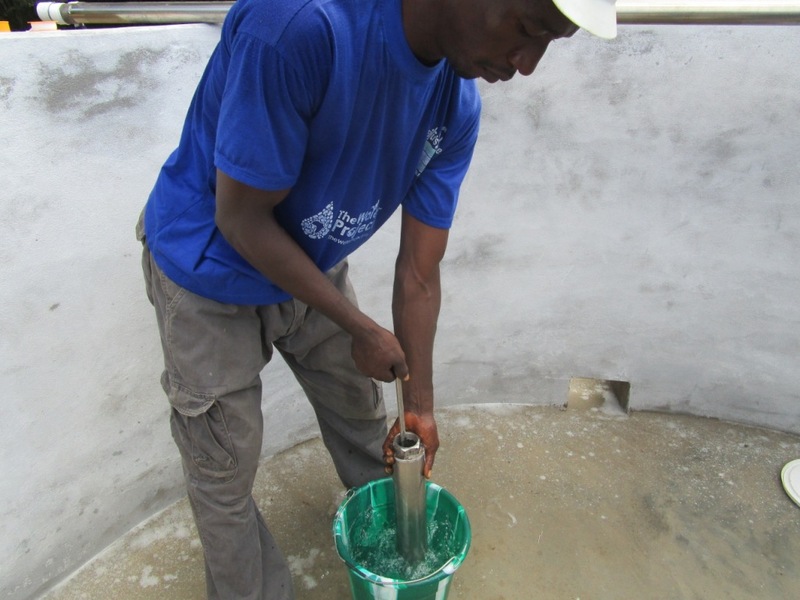 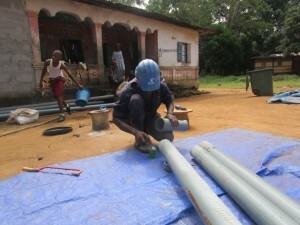 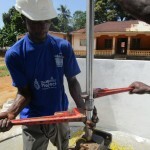 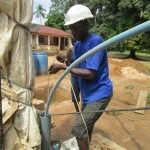 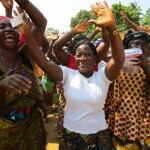 A new well is being constructed and the community will receive training in sanitation and hygiene. 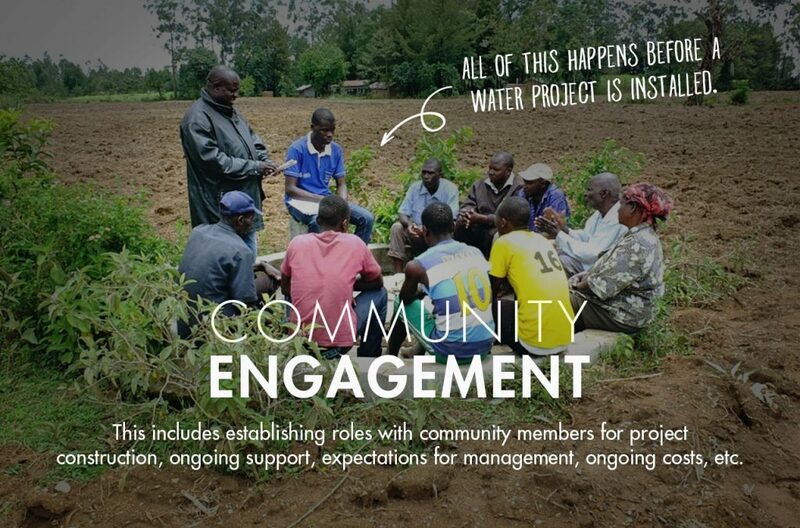 Imagine the difference these resources will make for this community! 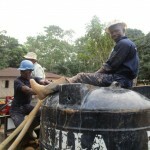 Project Sponsor - Jonah Development Corp.